Taylor serves as CDT’s Special Assistant to the President and CEO, providing administrative support and logistical insight to help the day-to-day schedule of the President and CEO. 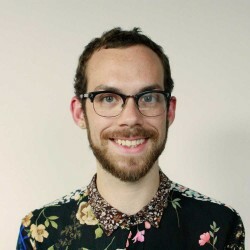 Prior to joining CDT in July 2015, Taylor worked at the New Organizing Institute where they planned and managed the execution of RootsCamp 2014, a national (un)conference for progressive organizers. Taylor’s foundation is in administrative support, volunteer coordination, and event planning, which they built during their time at the Spectrum (LGBTQ) Center of the University of Michigan. They received degrees with distinction in English Literature & Language and Philosophy.